I feel like I've been working on this post forever. I listened to three of these books on audio (Etiquette & Espionage, An Ember in the Ashes, and Dark Triumph), and that definitely takes longer than reading. Still, I really enjoyed all the audio versions. Plus, I knew that a couple of books were coming out this spring that featured girl spies (Orphan Queen and An Ember in the Ashes), and I wanted them to be included in this post. That's why it's taken since January (when I started Dark Triumph) until May to finish up this post. It was worth the wait. When Sophronia Temminnick insists on unladylike behavior, such as snooping and dismantling mechanicals, her mother enrolls her at Mademoiselle Geraldine's Finishing Academy for Young Ladies of Quality. What her mother doesn't know is that this finishing school trains its pupils for covert operations, and Sophronia is just the kind of recruit they love. Gail Carriger's setting is steampunk perfection. The details in the Victorian Steampunk setting are really what make the story for me--the floating school, the mechanimals, the flyway men. If you enjoy boarding school shenanigans this book is a great choice. Sophronia is remarkably good at getting around the school undetected. 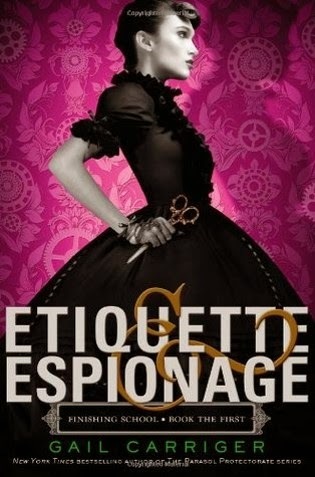 Etiquette and Espionage is clever, silly, and good fun. Wilhelmina Korte is an outlaw, but she should be a queen. Part of the plan to take back Aecor from the Indigo Kingdom involves Wil and her best friend Melanie infiltrating the palace. There, as spies, they will gather the information they need to launch their attack. Jodi Meadows' novel is a sophisticated fantasy with so much good stuff in it. My favorite part of the story was Black Knife, a vigilante who fights crime. I love how, with Black Knife, The Orphan Queen book combines elements of high fantasy and superhero comics. Wilhelmina is pretty heroic herself. Besides having an awesome name, she has some serious fighting skills. The set up for the next in the series is fabulous. I had heard that the book has a serious cliff-hanger, and boy, does it ever. 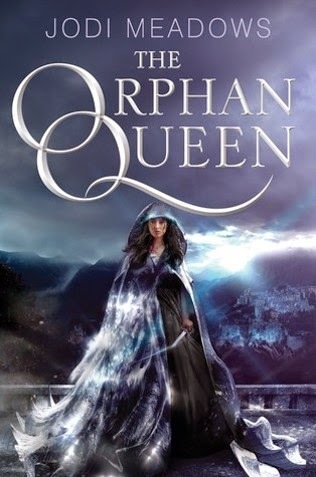 The Orphan Queen is out March 10th, 2015. Preview from Edelweiss. After Laia's brother is taken by the Martials, Laia seeks the help of the rebels, but their price is steep. Laia becomes a slave to the Commandant, the head of Blackcliff Military Academy (wow, she is terrifying), and a spy for the rebels. Elias is an Aspirant, one of four who could possibly become the next emperor. Elias has a secret. He wants out. He wants freedom. An Ember in the Ashes reminds me a bit of Red Rising and The Hunger Games. Each has a high-stakes, deadly competition, a ruthless government, and a perhaps less-than-altruistic resistance. Sabaa Tahir's debut, however, has more supernatural elements. I love the dark and violent Ancient Rome-inspired setting. 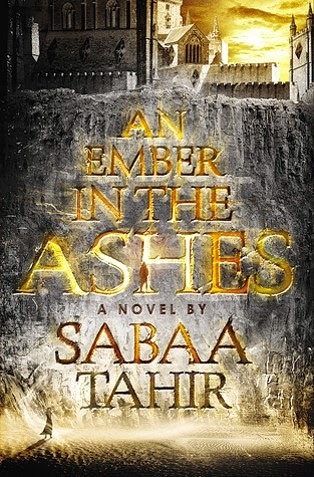 An Ember in the Ashes is out April 28, 2015. Preview from NetGalley. Sybella is a spy in her father's house. Sent back to d'Albret by the Abbess of St. Mortain, Sybella is at the heart of the rebellion against Duchess Anne. The stakes are high in Grave Mercy, but in Dark Triumph everything is ratcheted up a notch. Not only are there political problems but very personal ones as well. For Sybella, this situation truly is one of life or death, and she may not escape with her sanity intact. I liked this second in Robin LaFever's series even more than the first. 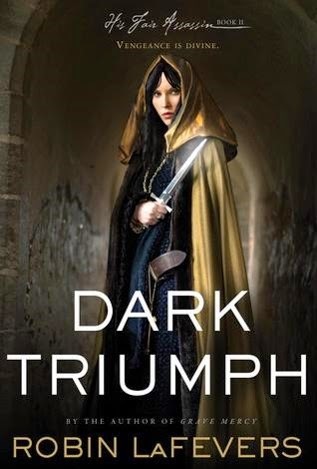 Dark Triumph, as the title implies, is darker than Grave Mercy, but, for me, that was part of the appeal. Also Beast. I love the Beast of Waroch. He was probably my favorite character in Grave Mercy, so I was just thrilled to be following his story this time around. And Beast and Sybella. They really work. Fabulous audio version, as well. 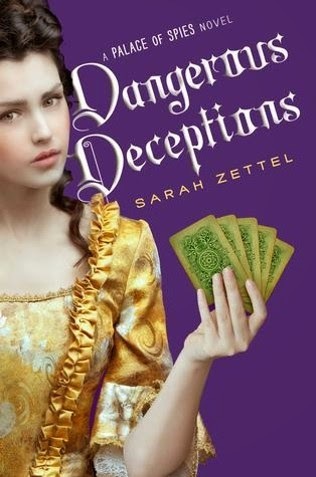 Dangerous Deceptions is the second in the Palace of Spies series, and I liked it better than the first. This book once again finds Peggy in the court of the Prince Regent. She has gained the trust of her sovereigns and has been kept on to continue rooting out deceivers in the court. In other words, she's a spy. In this book her spy work gets personal. She must put an end to this betrothal contract to the horrible Sebastian Sandford. And, if she roots out some Jacobites along the way, even better. Sarah Zettel's novel is just a lot of fun. I like Peggy's voice quite a lot. She navigates us through the maze of courtly politics quite well. It's an interesting period of history, and I, for one, enjoy being front and center, if you will, for all the underhanded courtly intrigue. Morgan - Those recommendations sound amazing! I am always interested in gathering more girl spy stories. And I am obsessed with the names in the Finishing School series. I think I would read the books for the names alone. Ahaha, spy girls, so fun. The only spy girls that exist are the Totally Spies.